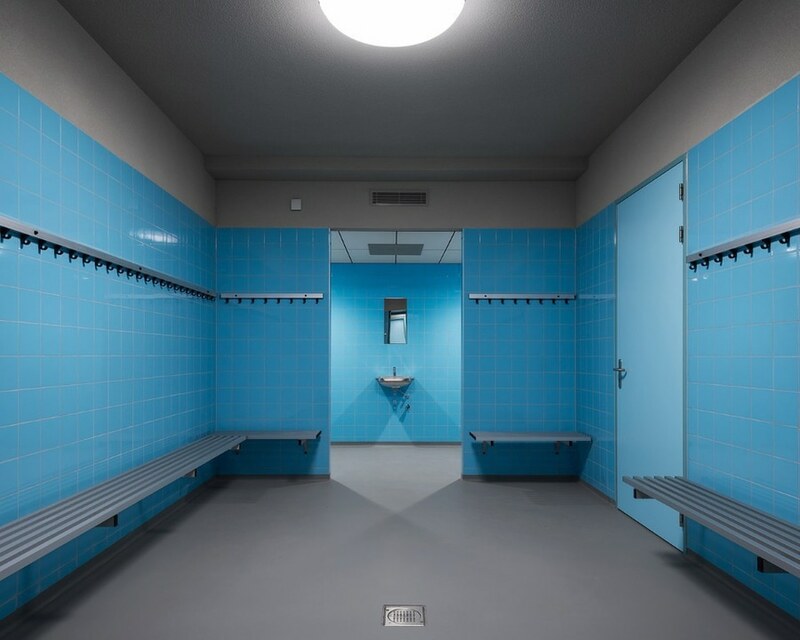 NL architects designed Varkenoord taking advantage of its position and bringing together the needs of three sport clubs. 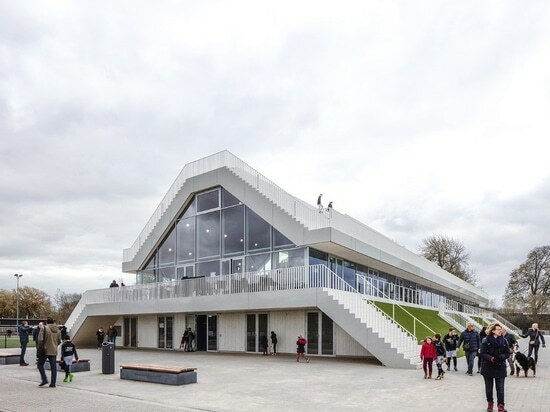 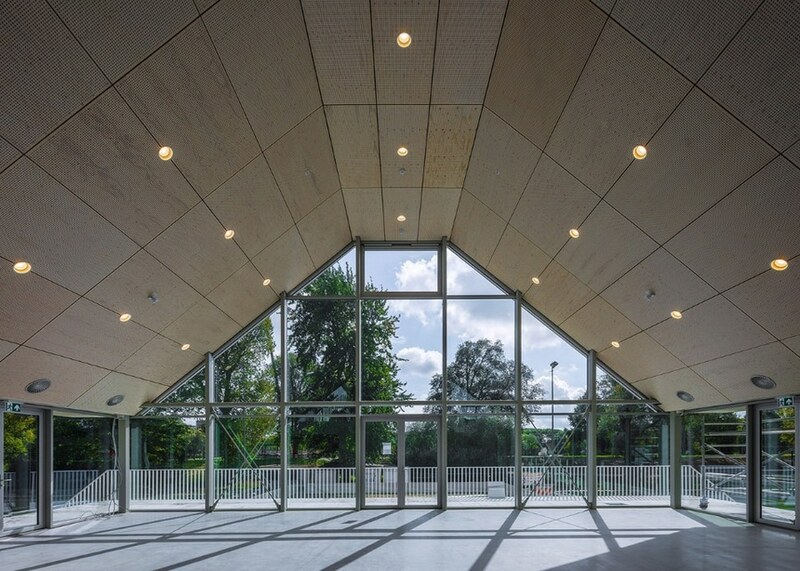 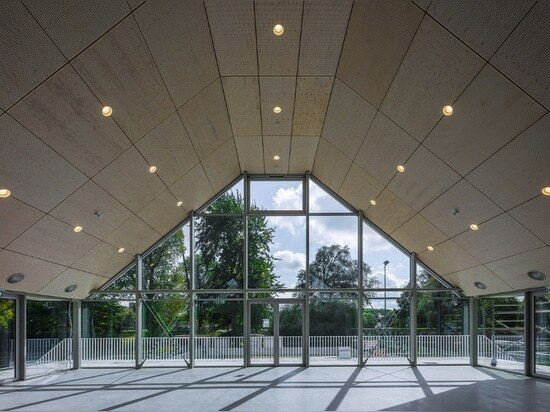 Club House Varkenoord is the outcome of a competition won by NL architects in 2014. 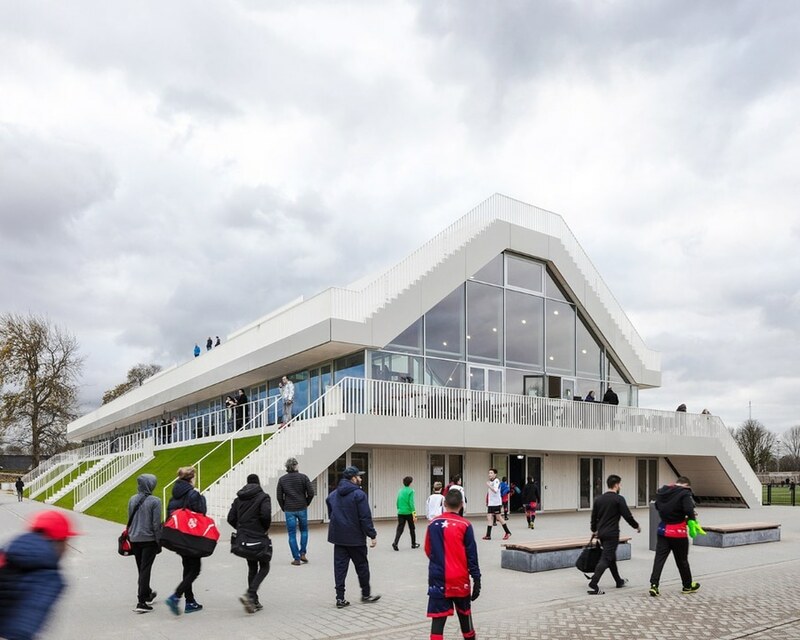 The sport infrastructure, part of Sportcampus Rotterdam, is the home of two soccer clubs and a hockey team. 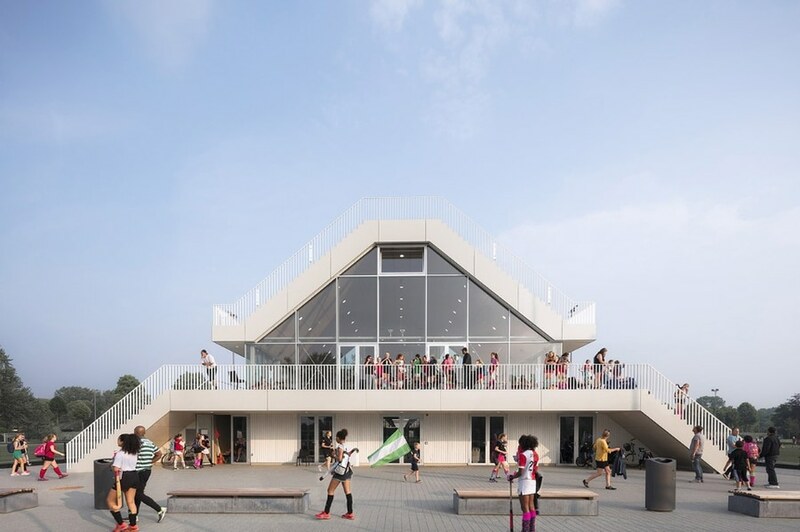 The site sits between two soccer fields, while the north-east side faces other three playing fields. 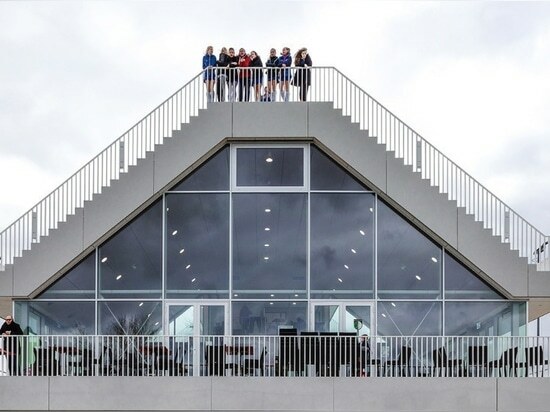 The sloped sections and distribution of the functions in the building fully takes advantage of the orientation in the site. 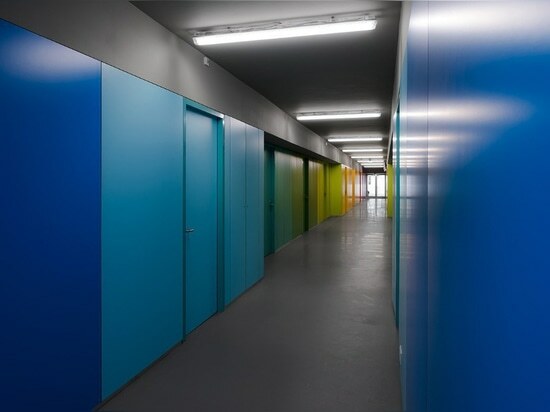 The locker rooms are located on the ground floor of the building: each side of the structure at this floor has two entrance doors and three flights of steps. 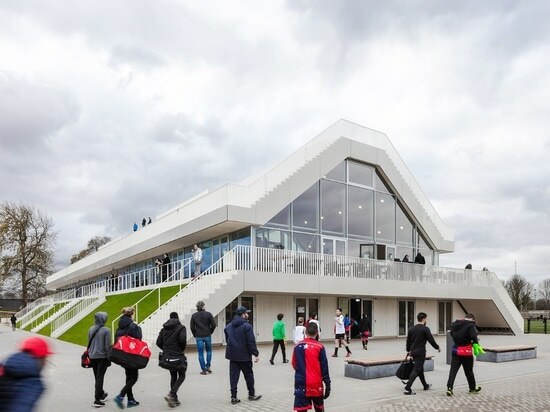 The roof is covered by artificial grass, creating a continuity with the two playing fields on the sides. 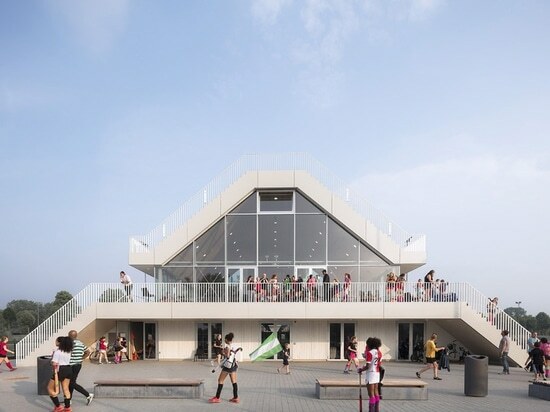 On the first floor, the two-sided orientation allows for the presence of a terrace running all over the perimeter. 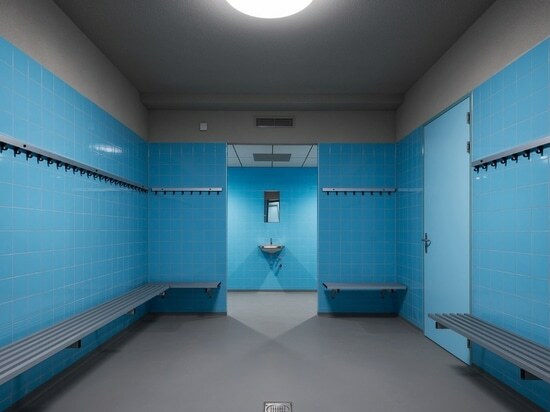 This floor is a glass box that hosts offices, bars and canteens for each club, which are oriented towards the respective playing field. 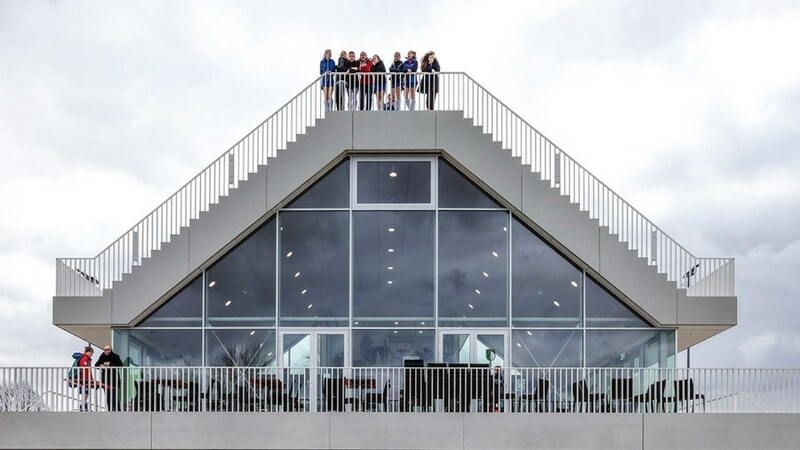 The rooftop gives space to the supporters of the clubs during the matches inasmuch it is characterised by a two-sided grandstands covering the entire length of the building.